India is a country where 1.3 billion people of different castes, join hands to form the biggest constitution in the world. 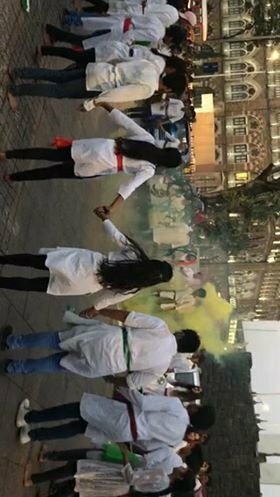 With this patriotic feeling that evoked within the students of the Rotaract Club of HR college, ‘The Republican’ took place on January 23 outside CST station, where thousands of people gathered around to watch these talented students give their remarkable performance. 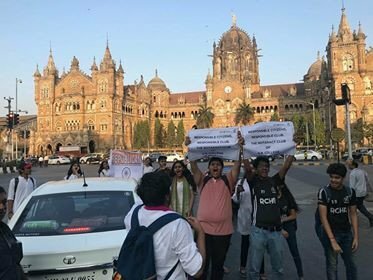 It started at 4:00 pm, where they shouted slogans at the top of their voices along with banners in their hands all across the street to spread the awareness about safe driving and left everyone touched. 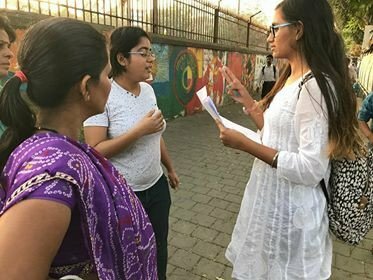 Later, they conducted a vox survey to test the knowledge of our constitution amongst the busy crowd of Mumbai, where they conversed with random people and made them feel responsible citizens. It was then, that these ambitious teenagers geared themselves for a powerful performance. The crowd stood awestruck, looking at these 16-year-olds put in their full energy and give in their best to salute our motherland.